A section devoted to questions and answers for this period. 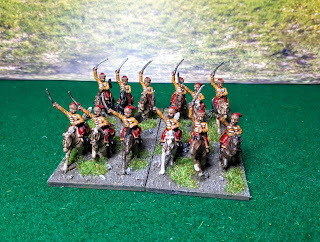 I've painted up these colourful looking chaps too represent Baron de Kronberg's Hussars in French service. Unfortunately there is no record of their uniform, so this is my interpretation of what I think it'd look like. 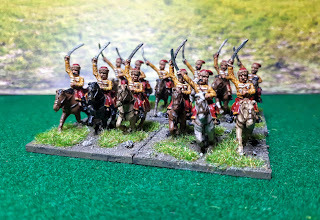 The figures are 15mm from Essex minis.